These plain white fabric & bamboo fans are an attractive addition to your event or occasion. 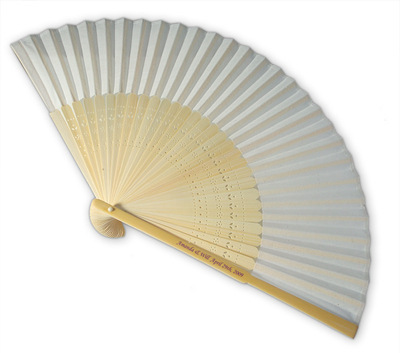 Please note the minimum order quantity for these personalised fabric & bamboo fans is 80. Also available with personalised fabric here. See also personalised silk fans.